At 212 Tax, we are prepared to handle the many accounting and tax issues that can arise at any time throughout the year. Rely on the personalized accounting services guaranteed from our reputable and resourceful certified public accountants. If you are an individual client, we can help you understand how to plan for the future. The New York accountants at 212 Tax are not just number crunchers. Instead, we offer individuals clear and actionable tax planning services. Our office is open year round to assist new clients with IRS or New York State audits, tax return amendments, and back year or late tax filings. 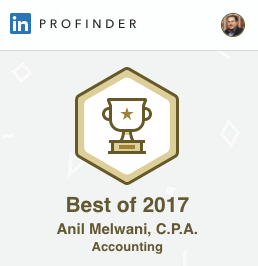 Prior to founding 212 Tax & Accounting Services (Armel Tax) in 2008, President Anil Melwani saw business from both the inside and out. Anil most recently served as Vice President at 212 Enterprises Inc., an importer & distributor of home furnishings, where he oversaw the finances and operations of a successful small business for five years. His duties included budgeting, forecasting, and inventory control, meeting with merchandise managers of major retailers, and traveling to Asia to develop and source new products. Prior to that, Anil, a graduate of Babson College, worked for the accounting firms Deloitte & Touche and Weiser LLP. During that time he was an integral part of the audit engagement team for several clients including Forever 21, India Abroad & Rediff.com, LensCrafters, Merrill Lynch, and the Rockefeller Investment Group. Anil’s knowledge of the inner workings of small businesses and their tax obligations, coupled with his experience as a professional auditor, enables him and the team at 212 Tax to provide only the highest quality of accounting & tax services. 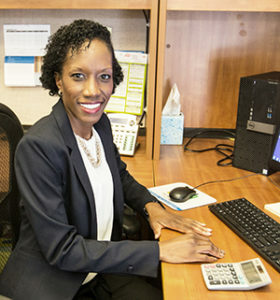 Dahiema Grant has been part of the 212 Tax team since 2014. Ms. Grant completed both her undergraduate and graduate studies at Bernard M. Baruch College, CUNY. She has successfully completed all parts of the Uniform CPA Examination and is working toward obtaining her CPA license. Ms. Grant has spent the last 10 years developing her skills in accounting and taxation and has gained an in-depth understanding of complex business structures. She has served as an advisor for several small businesses and has played a vital role in enabling all clients to maintain sustainable growth in all stages of their business and personal financial goals. She has extensive experience in accounting and bookkeeping covering a wide range of industries such as, medical, insurance, construction and non-profit.